The reopening of Hove Library has been delayed by eight days as work there has overrun. 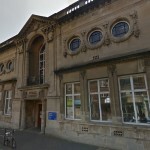 Brighton and Hove City Council said: “Hove Library will be closed for a week longer than originally planned due to unforeseen delays in the building and maintenance work being carried out there. “Rather than reopening on Monday 20 August, the library will now be closed until Tuesday 28 August. “Contractors now working on site have found that the drains and some sections of the flooring need more extensive works than previously thought. Councillor Emma Daniel, who chairs the council’s Neighbourhoods, Communities and Equalities Committee, said: “Our contractors will be working seven days a week to complete all the work that is needed. The library closed at the end of July for changes to the basement which will enable a nursery to operate there. Letting space to a nursery is part of a wider plan to generate more income from the library building – known as the Carnegie building – to help offset its running costs. Unusually, the disposal of the basement area with a 15 yr lease to an unscrutinised commercial nursery ‘bidder’ (in an area over-supplied by nurseries) has not been before Policy, Resources & Griwth Cttee for decision. Valerie – could this be mainly because you and Christopher Hawtree are part of the luddite campaign to stop any and all changes to this crumbling 100 year old mausoleum, rather than making better use of it for the local community? Councils are required by law to achieve best value and to tender gir contracts. The way a nursery (and this one) was simply appointed bypassed norms. The area is massively oversupplied with nurseries and perhaps a quiet use for accountants (say) might better serve the users of the library itself. Perhaps this is why Sally McMahon is no longer in charge of libraries. Or perhaps it is up to the council and duly elected democratic councillors to decide how to make the most of local resources rather than a group of self-appointed activists who think they know what is best for the community. Perhaps if you and Christopher could stand as proper Green Party councillors in next May’s council elections rather than thrusting insults and accusations at both the Conservative and Labour parties. corrupt? surely not. unheard of in this city. The Library system arranged things so that books would be due back with the re-opening on the 21st. I find that one book, due back that day, cannot be renewed as it is wanted by another reader (or “customer” as we are now insultingly termed). This means that I have to make a voyage to Brighton by then. The figures show that the Carnegie Library is not “expensive” to run. The craving to close it is a fifteen-year-long officer obsession. We are at the mercy of mediocrity. Hi Christopher – thank you for blocking me on Twitter and refusing to discuss how your meddling with “Save Hove Library” has led to staff losses and closure of the café at Hove Museum. All done in the name of protecting your blessed Carnegie and not looking at the wider picture of what is needed for the community. It must be terrible to have to travel to one of the other fine libraries in the city instead of going to your personal library in Church Road. You could always get on your bike and travel to Hangleton or Portslade. If only the council had left your beloved mausoleum alone and kept it the way Mr Carnegie envisioned it over a century ago. You know in the days of books and newspapers, before computers and the internet and the world having access to shared knowledge. Before radio, when shellac records only lasted 4 minutes per side, films were silent and lasted minutes, and people created their own entertainment. When people travelled by horse-drawn buses and taxis and the first electric trams had just appeared. Is this the world that you think the Carnegie should remain for in the 21st century information age? Please stop going on about “cost effectiveness” of Carnegie – all you seem to have done is attack council figures and not come up with any creative suggestions yourself. Instead start thinking of what library services are needed for the local community rather than yearning to retain the “old ways”. Do you really think Andrew Carnegie would want his library to remain unchanged and not help support the community now? You sound like “Gerald Wiley”. I blocked you on Twitter because you are a bore. Blocking is an aspect of its set-up, and so one can avail oneself of it. You should ask yourself why. Did Mister “I was Molly Sugden’s bridesmaid” just accuse someone ELSE of being a bore? Jesus wept! As usual you have got your facts all wrong Christopher & Valarie. I checked with the staff in Portslade Library and Sally McMahon is still the Head of Libraries and according to the staff there she is the reason Brighton and Hove have increased the number of libraries in the City when everywhere else in the country is reducing the number. They also said she was fully qualified and really very good.